As part of our series on all the amazing work that's been done with kite and balloon mapping over the years -- work that's led to our new Mini Balloon and Kite kits, today we'd like to highlight a number of educational projects from our community and partners over the years. To start with, this morning we ran an activity with Parts & Crafts in Somerville, Massachusetts, who have been a great partner over the years. Parts & Crafts is a makerspace for kids and their friends, and an alternative school program and DIY-centric camp. They've done a lot of Public Lab projects since the very start, and this week was Girls Invention Week -- so we took the Mini Kite Kite out for a spin with some amazing girl inventors! After a rainy and cold Friday night, the forecast for Saturday afternoon was looking much better. High of 41ºF with 10-15mph winds from the west, and indeed it was a clear, cold and windy day. 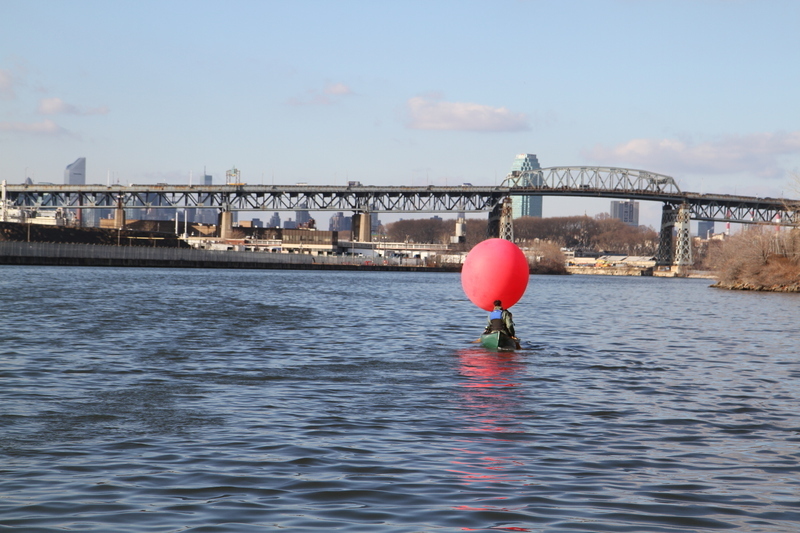 Our group of dedicated mappers met at Newtown Creek at the Plank Road site in the afternoon. We were carrying two kites, two Public Lab balloon kits, an 80cf tank of helium and other miscellaneous supplies. When members of a community are faced with a problem, generally they need evidence. Most people rely on labs to produce these studies. Through using balloons and kites to produces areal image data, citizens can increase the amount of power they have. Using a balloon is inexpensive and accessible, which helps members of the community engage in their civic communities. The more they know, they more they can do. We're looking for more stories -- and great images -- to highlight, so please tweet out a picture and tell your story -- and mention @PublicLab!